Bernie Sanders lit the Democratic Party on fire when he dared to challenge Hillary Clinton in 2016. He’s not considered a top-tier candidate for the party’s presidential nomination in 2020. But his presidential hopes just got dashed by the last thing you’d expect. Bernie Sanders is perhaps best known as the “man who almost beat Hillary Clinton”. After taking the Democratic Party’s primary electorate by storm in 2016, and nearly knocking off Clinton for the party’s nomination in the process, Sanders was set to dominate the party throughout the Trump era. 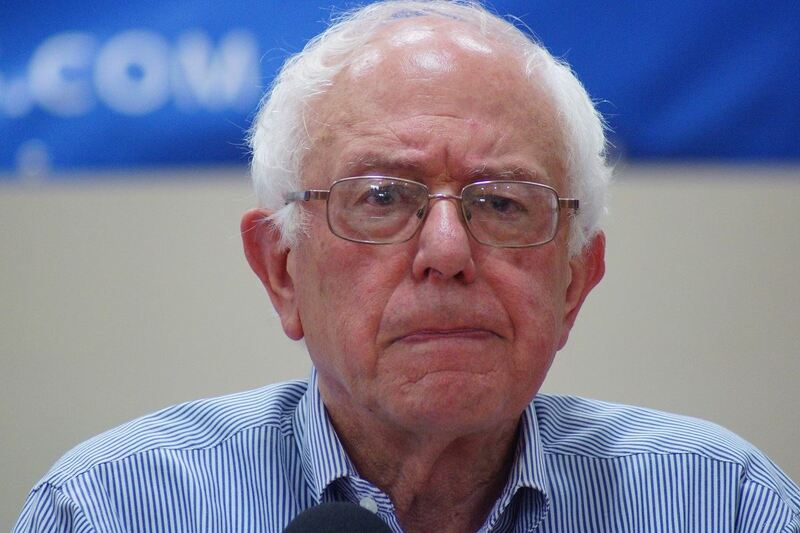 With the 2020 Democratic Primary now well underway, Bernie Sanders is considered by many to be a serious force in the upcoming nomination contest should he once again throw his hat into the ring. But his presidential hopes are now on the rocks as the kind words from one radical member of Congress threatens to ruin his presidential plans. Embattled Democratic Congresswoman Rashida Tlaib (D-MI), who made headlines earlier this month for calling President Donald Trump a “mother******” is now praising Sen. Sanders to the stars. Tlaib is also perhaps best known for being one of the most vocal anti-Semites in Congress. Her office map of the world had Israel relabeled as “Palestine” the same week she took office. 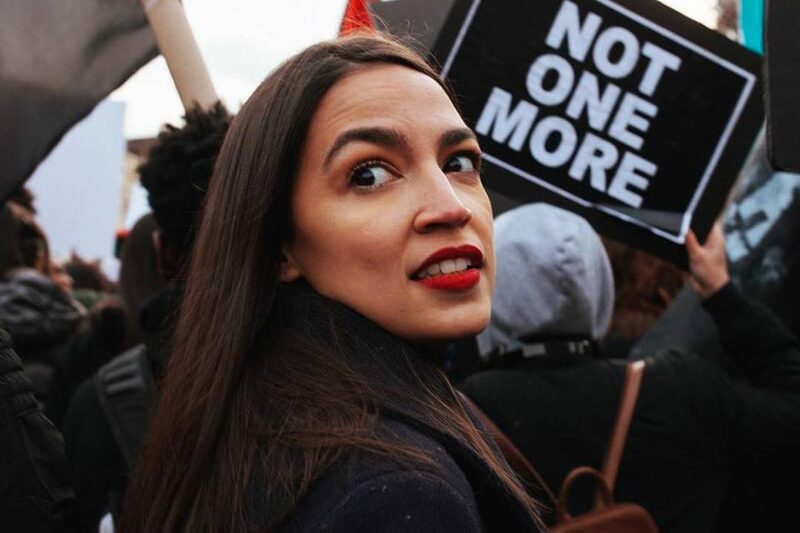 She also betrayed her primary campaign promises to support a proper two-state solution to the Israeli-Palestinian issue, and instead now openly calls for a “one-state solution” with Israel taking a backseat to Palestine. What’s more, Tlaib supports the extremist boycott, divestment, sanctions (BDS) movement against Israel. The BDS movement is known for its rampant anti-Semitic views against Israel and the Jewish people. Worse yet, Tlaib openly courts and mingles with vocal anti-Semites, including vocal supporters of the terrorist group Hezbollah. Thus, when Congresswoman Tlaib announced this past week that Bernie Sanders is her favorite political star, it naturally raised eyebrows. “I had dinner with Amo (Uncle) Bernie tonight! We talked about my passion for economic justice and fighting for corporations to pay their fair share. This man gets me. #rootedincommunity,” the freshman Democrat congresswoman posted on Instagram. Tlaib is one of the most vocal critics and opponents of all things Israel in Congress. Her comments directed at Jewish people, and at President Trump are utterly beneath the office she holds. And her admiration for Sen. Sanders is the political kiss of death for the Vermont Senator. Bernie Sanders will face a far more crowded field in 2020 if he chooses to run than he did in 2016. His opponents, both in the Democratic Primary and in the General Election will no doubt use his connections to one of Congress’ most vocal anti-Semitic activists against him. And there’s nowhere for Sanders to hide. He’s willingly let himself be attached to Tlaib. What comes next will be entirely on his shoulders.